When we think about our organisations we often fail to notice the essential role of trust. Trust enables or disables our work, structures, or processes. As we move more into the future of the network economy we need to make trust explicit again. We forget about trust because the process of trust is second nature to us. Trust is deeply engrained in the way we manage relationships, transactions and exchanges. This role of trust makes it critical to the way we organise our work, the way we exchange information and the decisions we make. Any organisation that is not explicitly managing the level of trust in the organisation and with its stakeholders is losing value. Trust plays an outsized role in my work. Customers pay a premium when they trust an organisation. That customer trust is directly related to the internal trust relationships inside an organisation. They won’t give an organisation greater trust than its own employees. 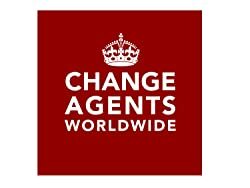 When Change Agents Worldwide wrote its first book, my chapter was on the need for organisations to trust their employees to enable the benefits of the future of work. A critical underpinning of the Value Maturity Model is its ability to develop the mutual trust in organisations that facilitates effective collaboration and supports execution of strategy. Trust is key to any complex and uncertain challenge in leadership, learning or innovation. Much of business history back to the beginnings of time has been managing trust. Ancient businesses of the Phonecians and Greeks, operating in the era of an absence of information used family relationships to ensure trust. Over time businesses built processes to enable wider networks of trust in trade, in banking, in record keeping and in management of businesses. Our organisations are built of thousands of individual interventions to manage trust in relationships. Organisations are often tempted to see the goal as creating a trustless environment. Build the processes & structures such that you no longer care. Blockchain promises a trustless ledger for example. The gig economy promises to make employees fungible units of production where trust in the individual is irrelevant. We trust platforms, not people. We undoubtedly can continue to build more transparency, processes & accountability to extend work relationships further down the curve of trust. When we engineer trust out of our relationships, it does not go away. We continue to evaluate trust in our work because that instinct is a deeply human one. When we engineer trust out of our relationships, we accept a new set of stresses and new set of demands on performance. We worry about the effectiveness of our trust-replacement solutions. We stress about the quality of our human relationships. Absence of trust is a high stress situation for humans. We over-invest in these systems and bear an unnecessarily high cost to performance. Look at any compliance regimes where risk avoidance dominates thinking. Those who don’t receive trust, don’t give it. Trust is reciprocal and an absence of trust in one direction will result in customers, employees and other stakeholders who don’t trust. Organisations that want to perform effectively in the future of the work cannot place all their faith in processes, structures and platforms to manage trust for them. They need to remember the human relationships of trust. Create and manage an organisational culture that is rich and generous with its trust. By simongterry in Collaboration, Future of Work, Leadership on 08/05/2017 .